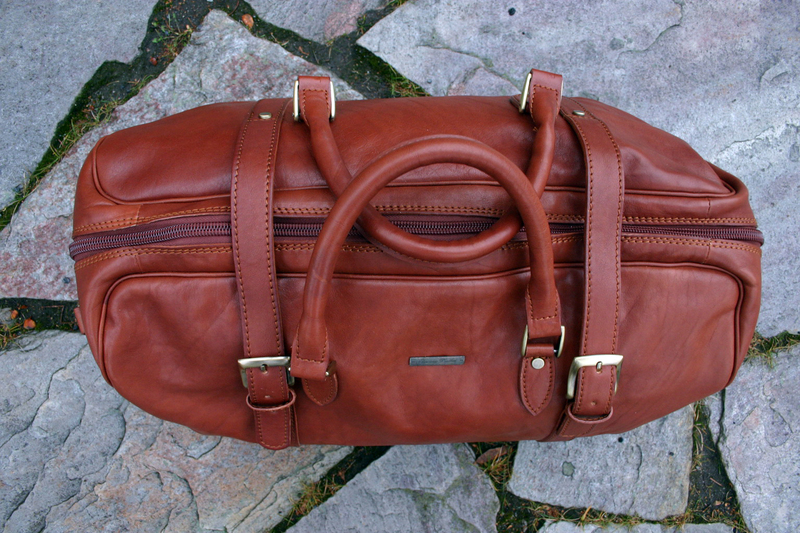 A weekender bag or a holdall, what ever you want to call it, is a must item for everyone. Man or woman, it allows you to travel in style and keep your belongings in good shape. In most cases, small enough to be a carry-in bag and a thousand times better looking than the black nylon or polyester bags. 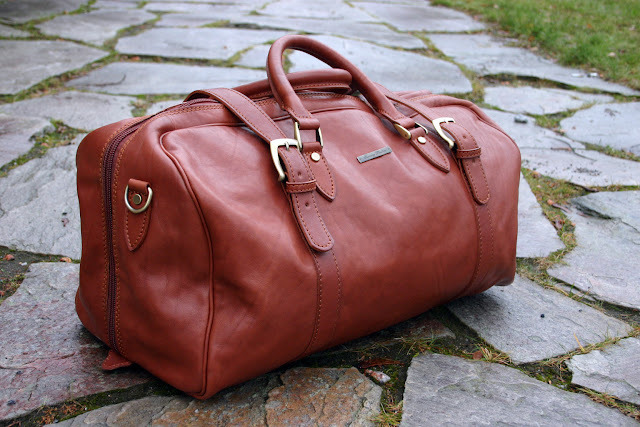 I use my own for travelling, weekend trips or just daily needs such as going to the gym. We've been looking for a similar option for my girlfriend for a long time, with a few requirements the bag needs to fulfill. First, it had to be reasonably priced. Second, it needed to be of good quality, full grained leather and have well-made metal parts. After a long search we ended up going for Tuscany Leather's premium line. Here's some first thoughts. The leather feels pretty good, and the natural growth marks on the leather in my mind really add some nice character to the overall look. The color is tan, the only color that was available but also the exact color that we were looking for. The stiching seems well-made for the price range, and the metalwear feels like it will last for long. The inner lining is cotton, which I don't necessarily approve of that much. Even my own bag has a suede lining, but I guess you have to make sacrifices to get this for the price tag it has. Another word of criticism I would give goes for the shipping. Obviously it's cheaper, but forcing the bag totally flat can't be good for the leather. The only thing you can hope for that it wasn't forced into that shape for too long. Anyway, the design is simple and pretty, leather feels good and the price was quite reasonable for a bag of this size made of full grained leather. When most of the similar items go for 500-2000 EUR, I think it's pretty decent for this 360 EUR bag. What is your standard size on suits and jacket? And how is the size on the suits from suitsupply? I'm usually size 46 or 24 (US 36R or 38S), but it varies quite a lot between different brands. With SuitSupply I wear 24 in Napoli, and 48 in Copenhagen (fits me perfectly). Looks great! I really love the colour. Thanks B, the color is very nice indeed. Thanks, my girlfriend has been very happy with it.